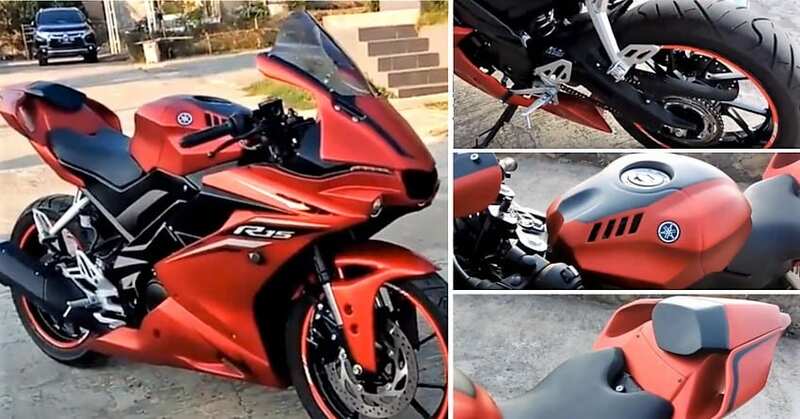 This Yamaha R15 V3 has taken the extreme route of modification and got itself the R1M-inspired look. However, the changes are totally visual and more importantly, based on a kit that can be mounted or removed. The kit comes with a custom headlight setup with huge bubble visor, redesigned side fairing and completely new tail section with in-built backrest. The rear section also flaunts effective winglets while the front can be seen with a custom fender. 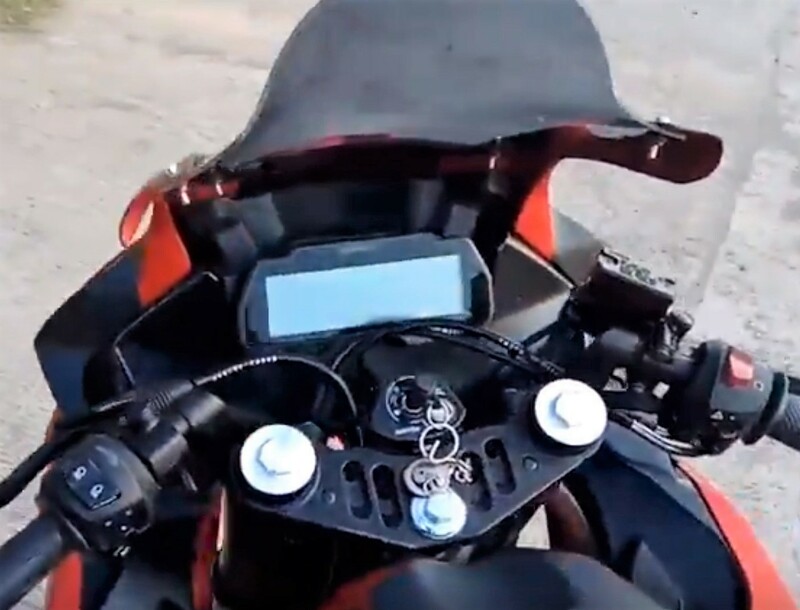 The tail light and turn indicators are neatly studded into the new panels. 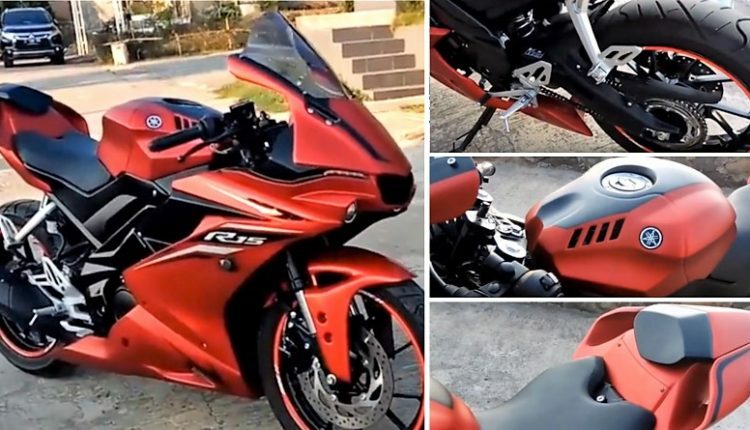 The R15 V3 seen here is an Indonesia-spec model as one can spot the USD front forks and rear aluminium footpeg holders. 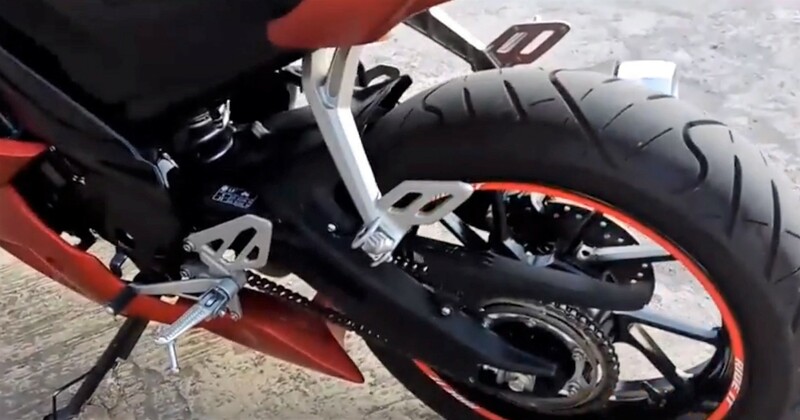 Yamaha R15 has served as a base for hundreds of modifications in the past decade and some of the owners have gone to the next level by adding technology to their examples. 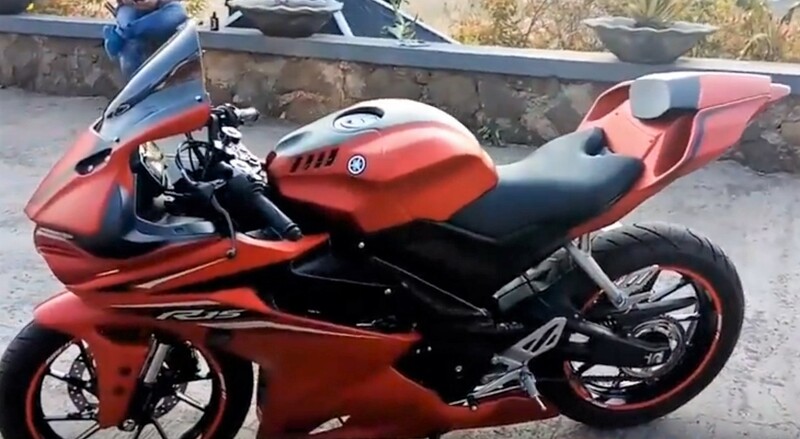 Here, the primary focus was to achieve R1M styling and that too by not altering any performance-related component of the R15 V3. The impressive shade looks even better in the low light conditions. The modifier has used precisely-placed stickers to highlight the overall design upgrade. 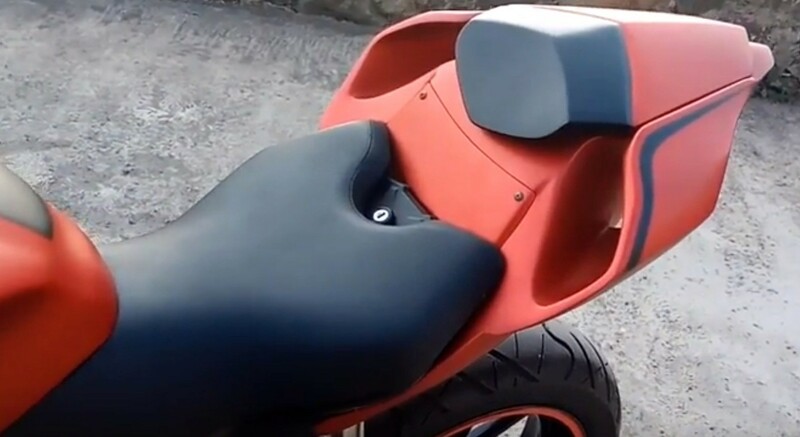 The centre section of the fuel tank is wrapped in a black shade for the perfect contrast. 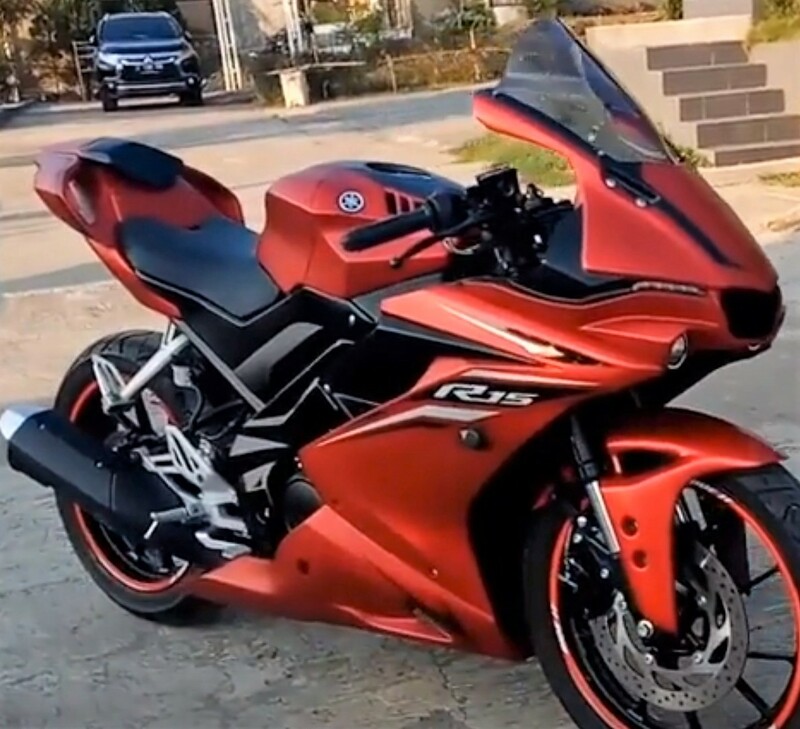 Yamaha R15 V3 can be had in three different shades in India, that too with ABS as a stock feature for INR 1.39 lakh and INR 1.41 lakh. The most powerful motorcycle of its kind, the stock version can produce 19.3 HP and claim 0-100 kph in almost 12 seconds. The power output can be further increased with the Daytona exhaust system. The model seen here comes with premium tires while the use of huge panels at both the front and rear end makes the wheelbase feel puny in comparison to the stock model.